Shop online for 139 hobby /craft paints markers at discounts up to 47%. Testors is ranked #1 out of 5 hobby /craft paints markers manufacturers, followed by Molotow Markers, and Bandai Models. This is a 1/3 oz Enamel Paint Marker Gloss White by Testors. This is the Create FX Enamel Paint Marker Set (Rail Brown, Rail Tie Brown, Rust) by Testors. This is a 1/3 oz Gloss Red Paint Marker by Testors. This is a 1/3 oz Enamel Paint Marker Metallic Gold by Testors. 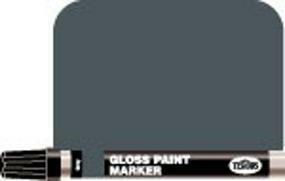 This is a 1/3 oz Enamel Paint Marker Gloss Light Blue by Testors. This is a 1/3 oz Enamel Paint Marker Metallic Silver by Testors. This is a 1/3 oz Enamel Paint Marker Gloss Green by Testors. This is a 1/3 oz Enamel Paint Marker Gloss Dark Blue by Testors. This is a 1/3 oz Enamel Paint Marker Gloss Brown by Testors. This is the Create FX Enamel Paint Marker Set (Earth, Mud, Grime) by Testors. This is the Create FX Enamel Paint Marker Set (Red, White, Black) by Testors.